We are a local voluntary registered charity, we receive no government or health services funding. We raise our own funds through fundraising activities and with the support of donations, small grants, gift aid and charity lottery etc. Unfortunately due to high costs of our previous centre we have decided to take our services out into the community until we are financially able to have our own centre again. We will be looking for an affordable building that allows us to offer different services to our members in one place, creating a homely, secure environment and a successful quality service tailored to their needs. We have listed various ways you can support us. You can sponsor one of our wish list items and help us grow our charity and members. 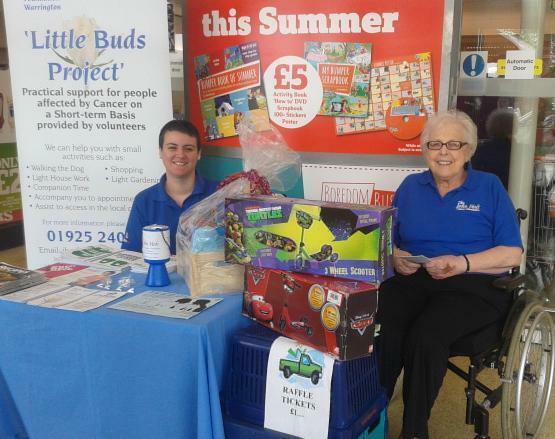 Why not hold a fundraising event of your own in our name or even help out at one of our fundraising events. Any help is very much appreciated. The classic way is to donate to us by coming into the centre or even by donating a lump sum through Just Giving. Donations to tombola prizes, unwanted gifts or furniture and bric a brac are always welcome. We have our own two feathers logo pin badge. If you would like to receive any please call in and see us and make a donation of £1 or alternatively come see us at an event. If you would like to sponsor one of our event items or fundraising events please call and speak to our Co-ordinator or a member of the fundraising team. 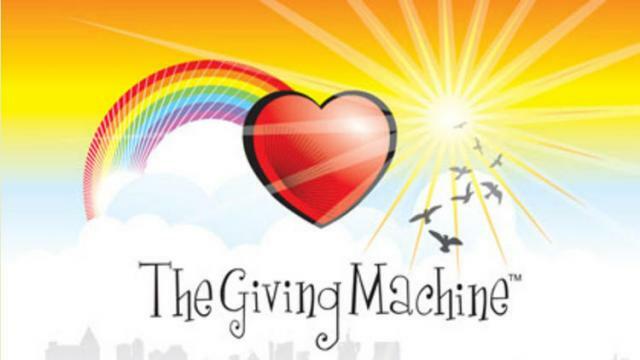 Please remember to use thegivingmachine.co.uk when making purchases online. This site allows you to use websites such as Amazon.com, Play.com, John Lewis, Ebay, Sainsburys, Next and many more generating free cash donations for many different causes through sales commissions. The best thing is it won’t cost you a penny. 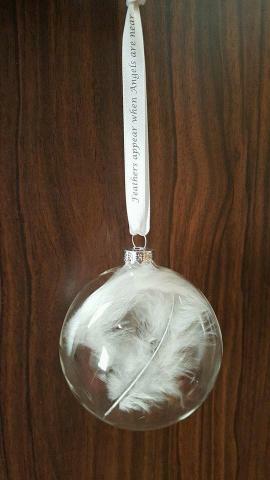 Our special baubles are back by popular demand! 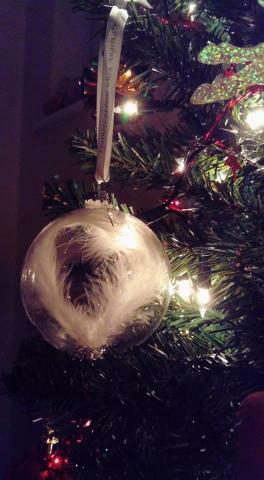 A lovely way to remember a loved one at Christmas is by hanging one of our baubles on your tree or hanger and supporting The John Holt Cancer Support Foundation, patients, carers & families in Warrington. 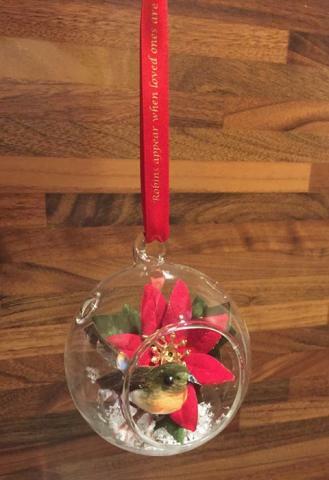 Each glass bauble is 8cm, made to order (blooms & robins may vary) with 2nd class postage. Please allow 7days to receive your order once paid via the PayPal link provided. Funds raised go directly to the charity.